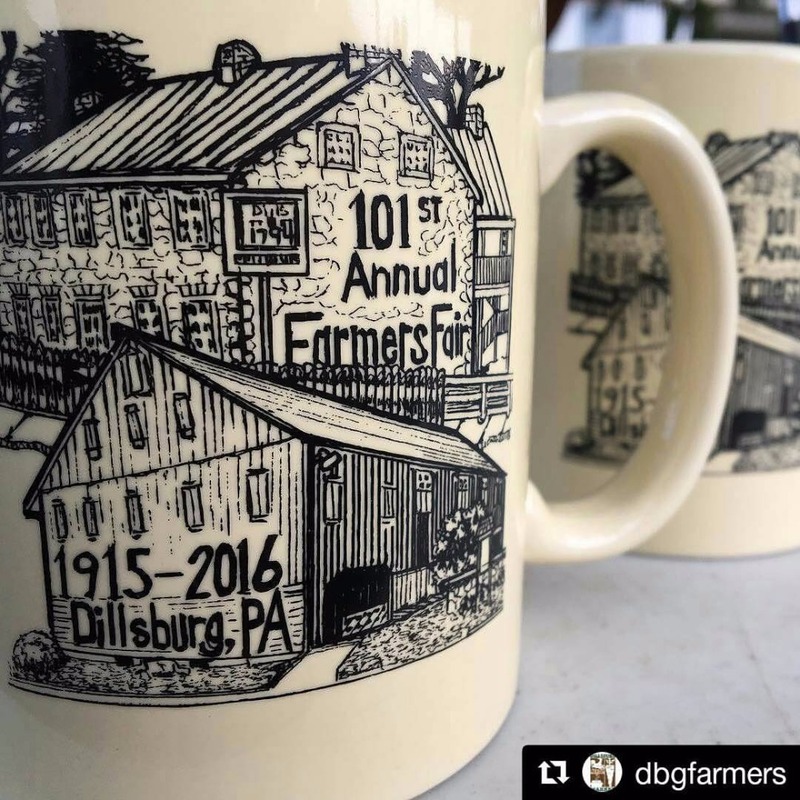 You have an amazing opportunity to help explore building a rail-trail that connects Mechanicsburg to Dillsburg and we need your help! Our group has secured some funding from a few York and Cumberland County groups to match a grant request to the PA Department of Conservation and Natural Resources (DCNR). 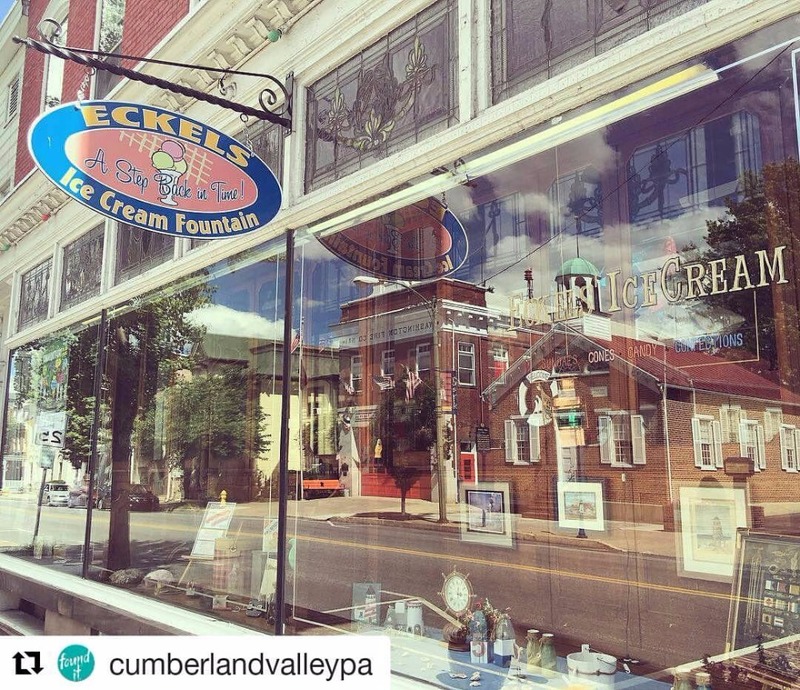 Over the past year, a regional coalition of support has been growing, researching, and working together across Cumberland and York Counties. We look forward to having you come along for the ride, you’ll love the view. Read on below…and follow us on Facebook! This potential rail-trail would highlight the heritage and beautiful scenery – those things that so many of us love about our communities, while giving us all a place for convenient, safe, healthy, and beautiful recreation. The first step is to conduct a Feasibility Study – this is what your contribution will help to fund – it is a written report that will explore the feasibility of constructing the project and how much community support exists. A Feasibility Study is required before we apply for construction grants in the future, should our communities choose to move forward with construction. With new trails and linear parks, like the Cardinal Greenway in rural Indiana and the NYC High Line, pushing the imagination of trail/park design, the economic, health, natural and cultural preservation, quality of life, etc. impacts on communities is seemingly limitless. 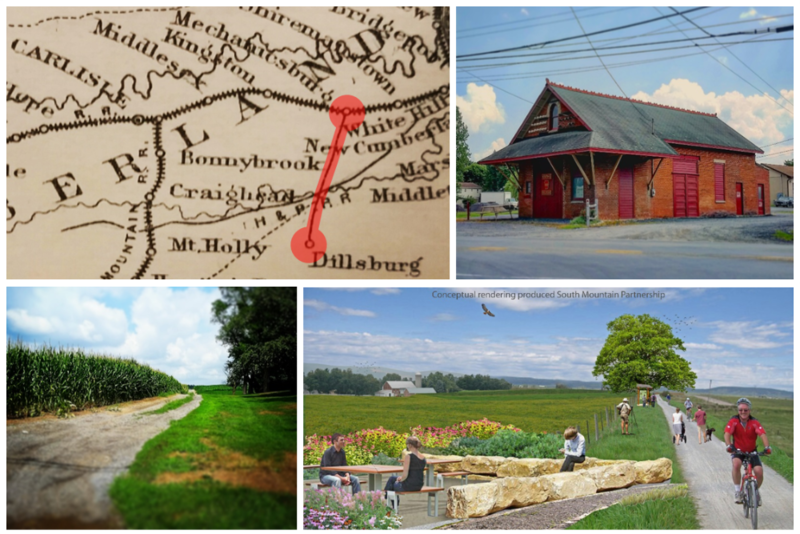 Completed in 1872, the Dillsburg Branch of the Cumberland Valley Railroad extended 8 miles and connected the vital rail network at Harrisburg with the ore fields of South Mountain, surrounding Dillsburg. 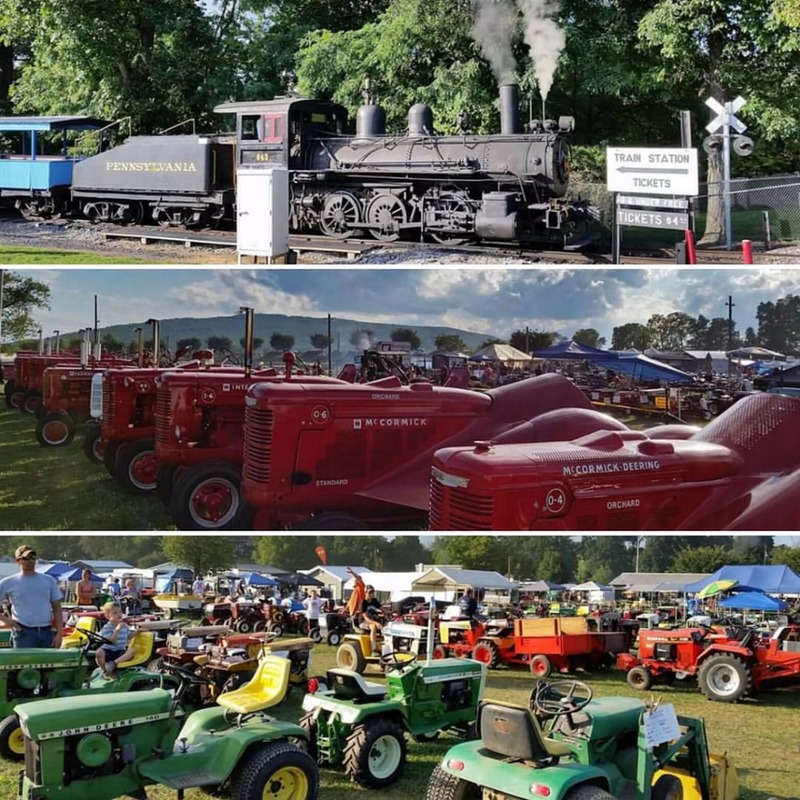 Later, passenger service to both communities helped them prosper and grow, while the annual Granger’s Picnic at Williams Grove continuously attracted tens of thousands of train riders over the course of the one week event. In the early 20th Century, the branch became incorporated into the larger Pennsylvania Railroad system, and was electrified in 1906. Trolley service between the towns began, and trolleys across the farmland of Monroe and Carroll Townships became a common sight. Eventually, as the automobile began to replace the railroads for moving people, the branch began to fade into history. By the late 1970’s all trains had ceased running on the line, and the tracks were removed in the 1980’s. Today, this somewhat forgotten story and railroad corridor presents the South Mountain region with a truly unique opportunity to link the historic communities once again. 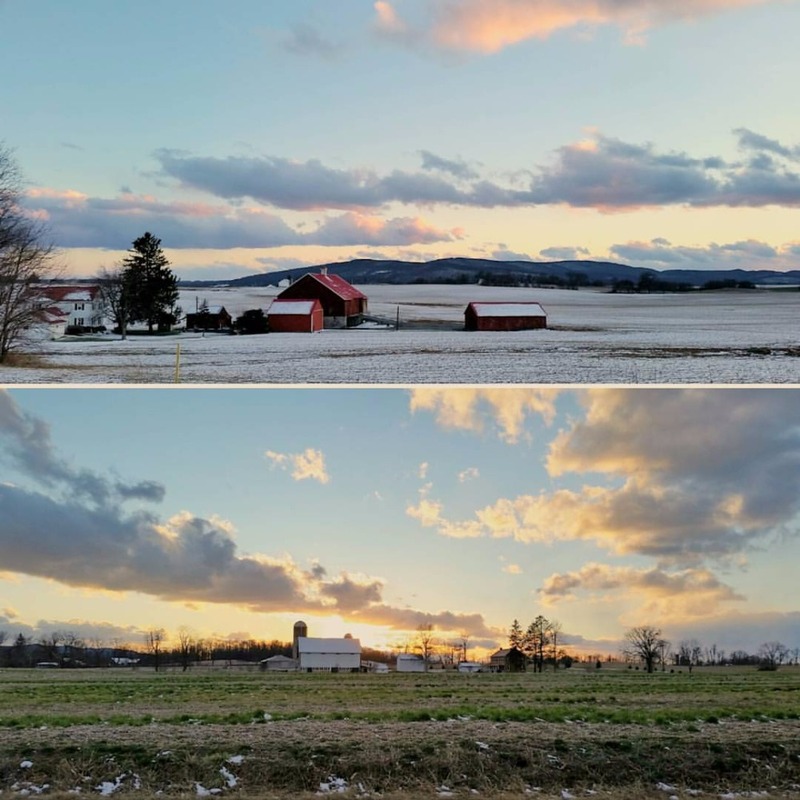 Riding the momentum, and with examples of the widely popular and successful Cumberland Valley Rail Trail, the Letort Nature Trail (along the former Reading RR line), and the York County Rail Trail, we continue the growth and potential of trails in the region. The potential to connect with trails such as the Mason Dixon Trail, the Appalachian Trail, State Bicycle Route J2, and the Yellow Breeches Water Trail, to name a few offer fascinating opportunities to both trail users and communities. South Mountain Partnership is managed as a public-private partnership by the PA Department of Conservation and Natural Resources and the Appalachian Trail Conservancy and is helping to facilitate the Feasibility Study for the South Mountain Trolley Greenway.